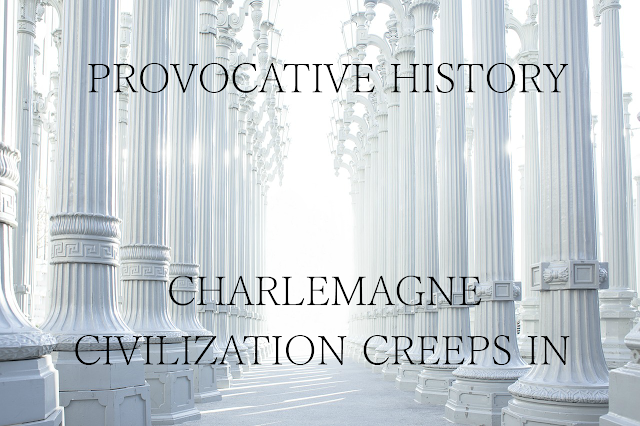 Charlemagne hadn't just been fighting his entire reign. 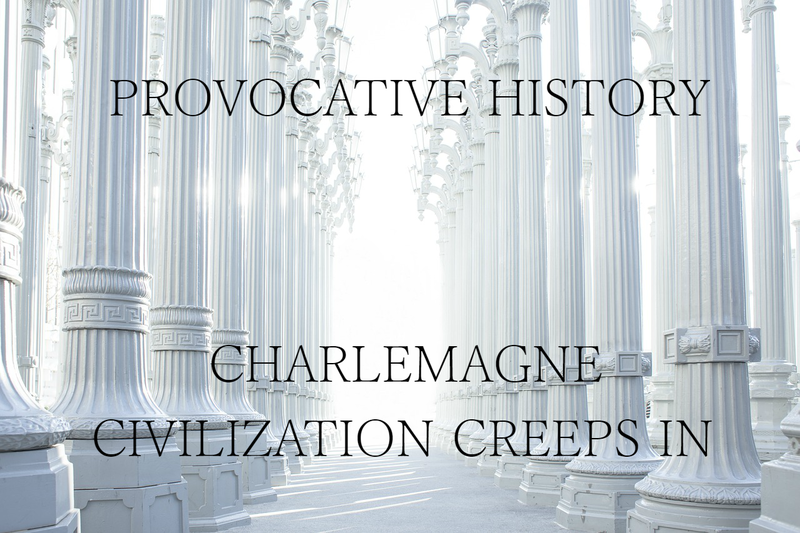 In 787 A.D. Charles established a system of education, laying the foundations for modern Europe. Welcome back everyone. After fighting close to half of Europe for almost his entire life, Charles knew it was time to make some changes. Thus, Charles continued his life with the outside through diplomatic envoys rather than the sharp spears of his troops. On the periphery of his empire, he became great friends with the northern Spanish kingdoms, as well as Scotland. Even though he was the Roman Emperor, being crowned by the Pope, he also allied himself with the Eastern Roman Empire. They distrusted him, but he was able to create a lasting treaty between them. Charlemagne even befriended Muslim nations, such as Persia. Aaron, the king of Persia, and Charles entertained a great friendship where they sent each other gifts. Aaron even sent his only elephant to the Frankish court. Just as Charlemagne was tireless in war, he was tireless in other endeavors he took upon himself. It was in this time that Charles began constructing one of the greatest marvels of the Medieval Ages: the Aix Cathedral. 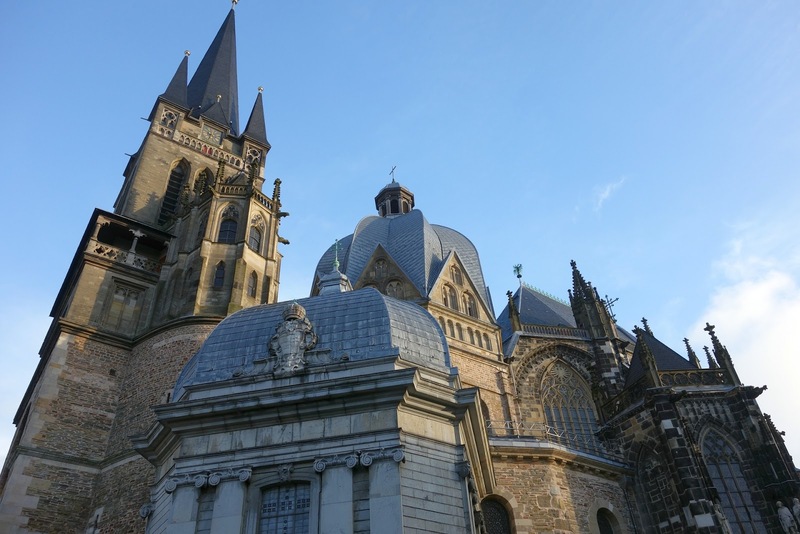 Charles assigned Odo of Metz to build the great cathedral, and within nine years the Pope consecrated the building. Dedicated to Mary, 700 years worth of German Kaisers were crowned here. The palace has also attracted hundreds of pilgrims, and remains an UNESCO world heritage site. Charlemagne decorated the Cathedral with gold, silver, candelabras, marble from Italy, ecclesiastical garments and necessities, and doors of solid brass. Every rank in the church was provided with special dress, and Charles reformed the singing of the services to meet Papal standards. While deeply devoted to Catholic matters, Charlemagne devoured anything related to the Liberal Arts and all scholarly matters. Peter of Pisa instructed him in grammar and rhetoric, while Alcuin of England taught him just about everything else, including an attempt at teaching him to read and write. He even kept a tablet and pen to work on the task under his pillow. Reading and writing, however, was not Charles's strong suit, and since he began learning it late in his life, he was unable to do more than write his name. Of course, he didn't just support Peter and Alcuin. The arts flourished in Aix-la-Chapelle. Monks, scientists, and artists praised his name and his patronage of their work. His generosity didn't stop there, either. Whenever he heard of Christians in poverty anywhere at all, he sent aid of all sorts. Christians from Carthage to Antioch felt the benefits of his aid. Shortly after becoming the Holy Roman Emperor, Charlemagne noticed that the system of law was defective. Thus he shouldered yet another project: the legal branches of his government. In the manner of Justinian from old, Charles combined the two Frankish law systems, trimming unnecessary laws, adding new ones, and consolidating all of them into books. Yep, a lot of laws hadn't even been written down. It seemed like there was nothing that could stop Charles! The peasants, monks, scholars, and nobles all praised his benevolent rule. But Charlemagne was starting to feel old. He felt the age of seventy years in his bones. He slowed down and spent even more time with his many daughters in Aix. He crowned his only remaining son, Lewis, as his co-emperor. Soon he contracted pleurisy. Charles, the energetic emperor, who had marched over half of Europe, could no longer leave his own home. He sent prayers up, and, in his usual fashion, began to fast. "Beneath this tomb lies the body of Charles, the great and orthodox Emperor, who nobly expanded the kingdom of the Franks and reigned prosperously for forty-seven years. He departed this life, more than seventy years of age, in the eight hundred and fourteenth year of our Lord, in the seventh indiction, on the fifth day before the Kalends of February."